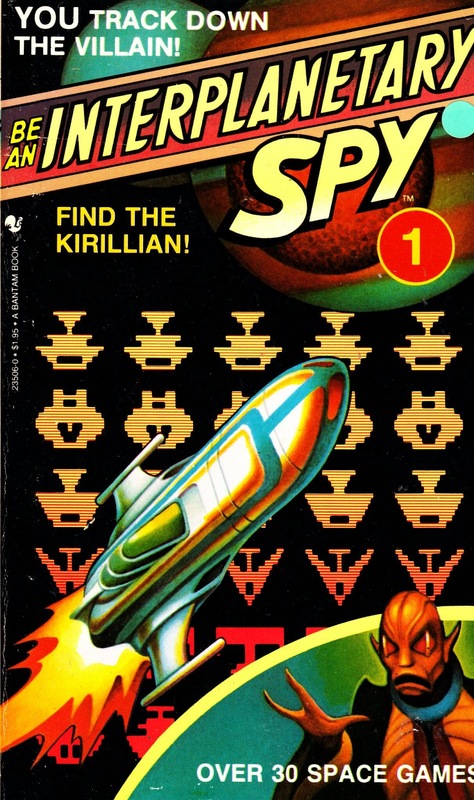 STARLOGGED - GEEK MEDIA AGAIN: 1983: BE AN INTERPLANETARY SPY BOOK 1: FIND THE KIRILLIAN! 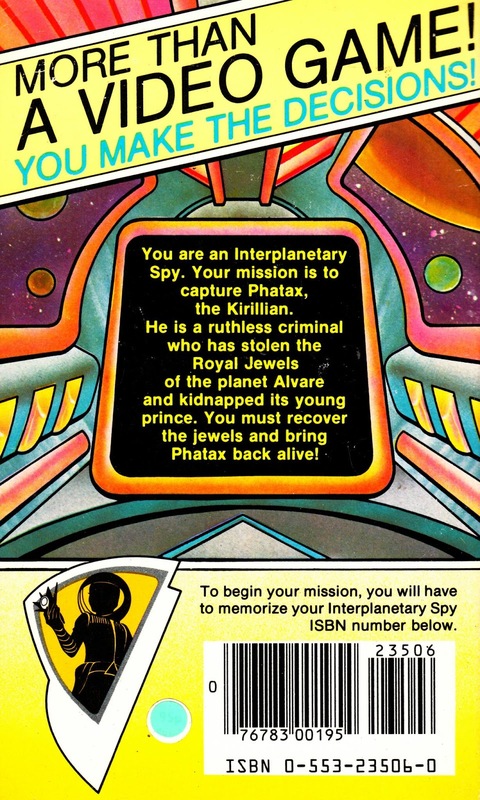 1983: BE AN INTERPLANETARY SPY BOOK 1: FIND THE KIRILLIAN! From 1983: Anyone remember the BE AN INTERPLANETARY SPY series of books? They were a series of puzzle/ adventure books which cannily combined James Bond, Science Fiction, Choose Your Own Adventure books, video games (a bit of a stretch) and puzzle books into a winning (if you were about 10) combo for Star Warriors high on the fact that Return of the Jedi was hitting the big screen and Darth Vader was touring the nation's toy stores. I found this, the first in the series (I have a hunch that the whole series was released simultaneously), in a secondhand book store and the memories came flooding back. Neat gag to make the ISBN number part of the adventure. I must confess I've never read any of these although they bring to mind a similar bunch of SF entries in the FIGHTING FANTASY series. A quick google search reveals there were 12 books in this run.